We continue to invest significantly across our portfolio of species from coast to coast. Find out where our latest investments have been made and what that means for the industry. The many parts that formed Hendrix Genetics have a long history in the United States. Our footprint goes as far west as Hawaii and as far east as Virginia, with everything in between found in middle America. 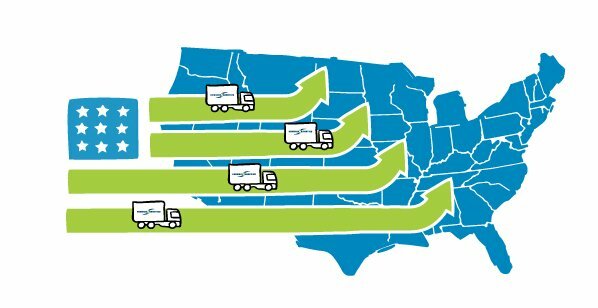 We have always believed the USA is key to our shared success with customers and it is for this reason we have invested heavily in our American portfolio. Our initiatives include building a full turkey distribution system to better serve customers, building new facilities in other species and upgrading existing ones. In early 2017 Hendrix Genetics committed to building out a brand new modern distribution network that would be able to supply the whole of the USA and beyond with parent and commercial stock turkeys. The goal of this ambitious project aims to ensure customers have a reliable supply of top quality product. Tens of millions of dollars have been invested in building out two new hatcheries as well as multiple new farms to supply them. 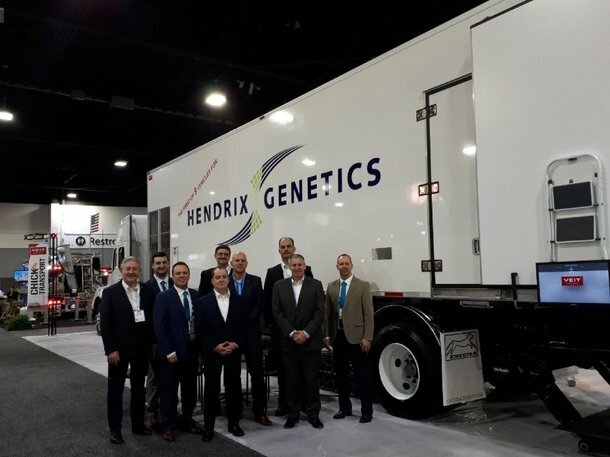 Moreover, Hendrix Genetics has invested in a fleet of specialized trucks equipped with technology that simulates a hatchery environment during transport. All this will ensure US demand is met with top quality product. 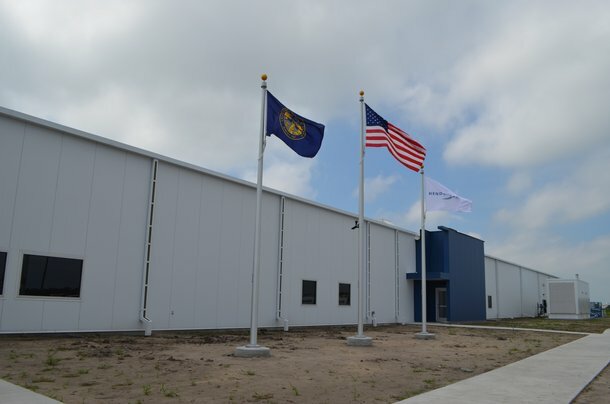 In late 2017 Hendrix Genetics unveiled its flagship North American hatchery in Grand Island, Nebraska. This modern hatchery is state of the art, with a capacity to hatch 100,000 day-old chicks per day, five days a week. It is equipped with 30 incubators and 18 hatchers. This investment comes on top of a major upgrade that was done to our grandparent stock facility in Virginia. The grandparent facility now houses multiple genetic lines that can be kept separate during rearing and production all while in enriched family pens. 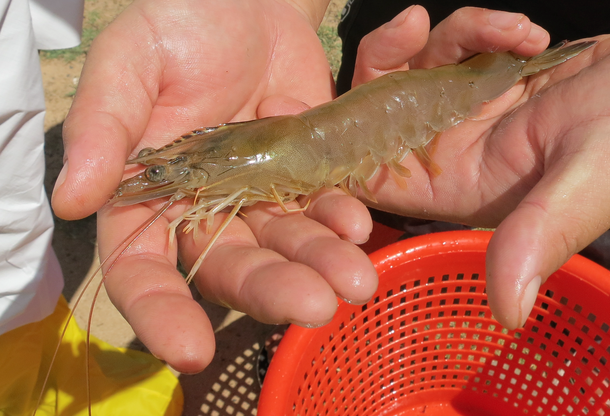 The newest addition to the Hendrix Genetics portfolio of species is shrimp. This occurred when Hawaii based Kona Bay partnered with Hendrix Genetics in 2017. At the time a commitment was made to invest in the business in order to take it to the next level. This is being realized with the construction of a brand new packing and shipping facility at the nucleus breeding facility on Kauai island. This investment will allow for greater volumes of shrimp to be exported, while preserving quality and survivability. 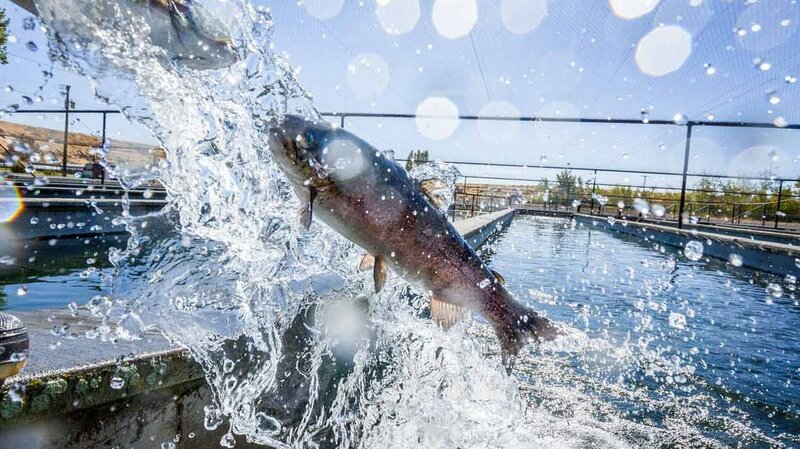 Hendrix Genetics’ trout unit based in Washington State has over 70 years of success. This has been in large part due to it having the best product on the market. Hendrix Genetics wants to ensure this continues, which is why it is investing in a new project called 824. This project will focus on three primary areas. Going forward all products will be selected using genomic information. Odd and even year nucleuses will be merged, increasing uniformity in the stocks. The number of families per group will increase by 50%, increasing genetic viability. 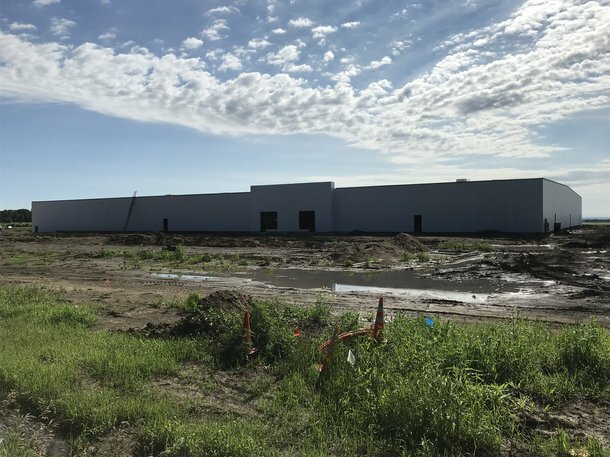 In order to achieve this, investments are being made in both R&D and in the facilities through a significant expansion of the family genetics building. This project builds upon a recently completed project only a few months prior in the incubation facility. The newly remodeled facility can hold and incubate as many as 100 million trout eggs at any one time. With this capacity, the incubation hatchery is one of the largest privately owned trout egg incubation facilities in the world.